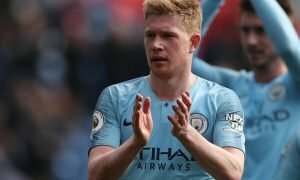 Injury misery: The terrible Man City player immortalised by awful blow - Verdict | The Transfer Tavern | News, breakdown and analysis on all things football! There are few men you would never, under any circumstances, like to anger on the football pitch – the likes of Vinnie Jones, Paulo Di Canio, Gennaro Gattuso, Eric Cantona and, of course, Roy Keane. Manchester United’s resident psychopath Roy Keane was the last thing Manchester City’s Alf Inge Haaland saw on a football pitch before his career was brought to an abrupt and callous end. When discussing their feud most sane people would likely reflect on the ‘attack’ as a slight overreaction on Keane’s part. 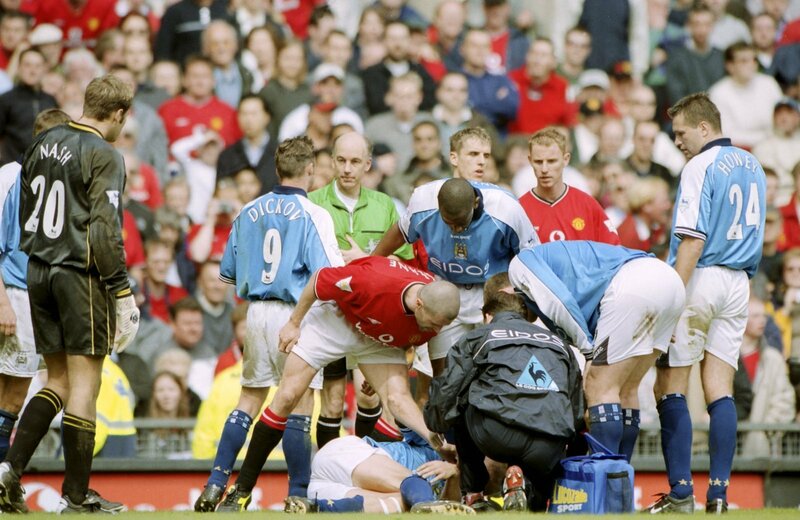 Four years prior, which is supposedly when the vendetta began, archnemesis Haaland had stood over Keane when he ruptured a cruciate ligament and claimed he was faking it; anyone who has suffered an ACL will know how painful it is and could maybe sympathise with Keane for being a little upset (just a little). “I’d waited long enough. I f—— hit him hard. The ball was there (I think). Take that you c—,” Keane details in his 2014 autobiography The Second Half (via the Telegraph). “And don’t ever stand over me sneering about fake injuries. Even in the dressing room afterwards, I had no remorse. My attitude was, f— him. The Norwegian managed 181 topflight appearances spread out over a career with Nottingham Forest, Leeds United and Manchester City. 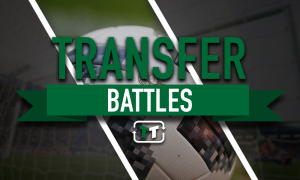 We would love to say that the Haaland will be remembered for much more than being the recipient of one of the worst challenges to have ever occurred on a football pitch, but we would be lying. Haaland has engrieved himself into the history books for that very reason. He has been immortalised by the very thing that ended his job; I doubt many recall his footballing talents because, well, there is not much to be said. The dispute does not look to be ending anytime soon either. Looks like this one is in it for the long run.